Following a nationwide vote, MSC Cruises today announces the brand of tea the British public have chosen to be served onboard MSC Magnifica in 2018 – and it’s a victory for Yorkshire Tea. Over 1,000 people voted in the online poll on the MSC Cruises Facebook and twitter pages, which led to the selection of the popular brand. 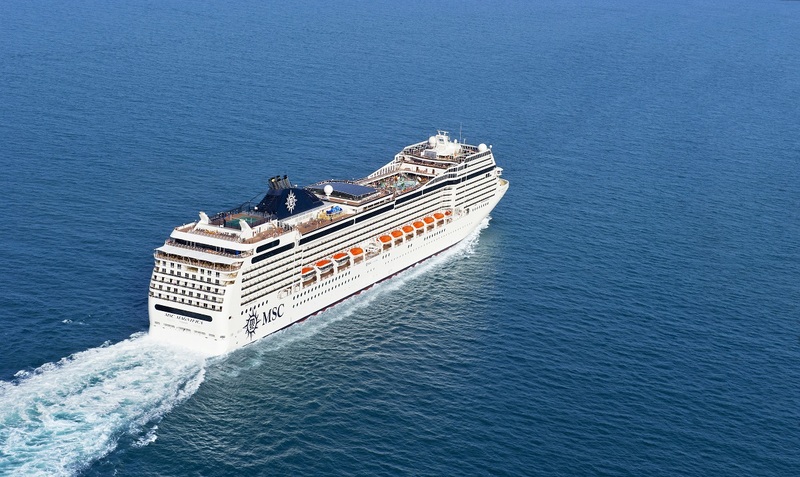 The tea will be available in all on board bars and restaurants and in a first for MSC Cruises, also in cabins, along with a kettle, coffee, milk and sugar, so guests can enjoy hot drinks in their cabins. Antonio Paradiso, MD of MSC Cruises for the UK & Ireland said ‘We are so pleased to announce that the winning brand, selected by the British public, is Yorkshire Tea. In order to make a ‘proper brew’ it’s attention to detail that counts, which is something we pride ourselves on at MSC Cruises. As a family owned Company we understand how important home comforts are, and are pleased to be able to add this special touch in order to make MSC Magnifica home for guests while they are exploring the Mediterranean and Northern Europe in 2018. There are many other enhancements being made to the product onboard the ship which carries 3,200 guests, ready for the Company’s first full season sailing from Southampton. MSC Magnifica will sail from the port to Northern Europe and the Mediterranean from April – October 2018. Other additions to the product include British & Irish beer and cider on draft, a British comedian and Cruise Director joining the entertainment team and all the favourite big-brand condiments including HP Sauce, Colmans Mustard and Marmite will be available. To celebrate the announcement, the cruise company is recruiting a Tea and Cake taster to sail on the ship and ensure that guests are getting a proper brew, and the cakes are practically perfect in every way. The successful applicant, who will need an exceptional palate and a sweet tooth, will be invited aboard MSC Magnifica sailing from Southampton in April 2018 to rigorously taste-test the ship’s tea and cakes. During the 7 day contract, a daily wage of tea and cake will be provided, and accommodation for the successful applicant and an assistant is also included as part of the job. For more information on the MSC Cruises Southampton sailings or to apply to be the Company’s first Tea and Cake taster visit www.msccruises.co.uk.